Battered but unbowed, the top club in the MASL worked overtime to secure the best record in the league. 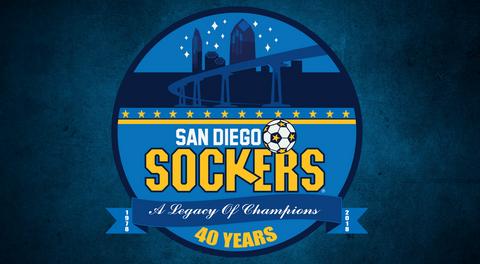 Brandon Escoto’s near post goal from the right flank 48 seconds into golden goal overtime capped a wild late comeback, as the San Diego Sockers scored five goals in the fourth quarter after being shut out for the opening 46 minutes, rallying for a 6-5 overtime victory over the Rio Grande Valley Barracudas. Kraig Chiles scored a hat trick in the fourth to help San Diego rally from deficits of 3-0, 4-3 and 5-4 in the final frame. The win, the Sockers’ 20th in a row, clinches the best record in the MASL with a 22-1 mark. San Diego will have home field advantage throughout the Ron Newman Cup playoffs. The golden goal came with both Sockers forwards on the floor at the same time. Working off the left wall, Leonardo de Oliveira’s centering pass was dummied through the legs of Chiles, freezing the defense. Escoto took one touch before his deceptive near post shot snuck its way inside the right post. 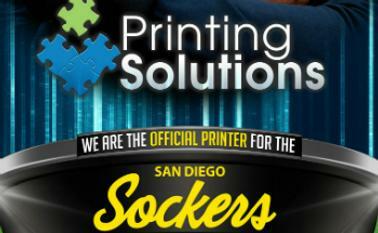 The Sockers improved to 5-0 in overtime this season. 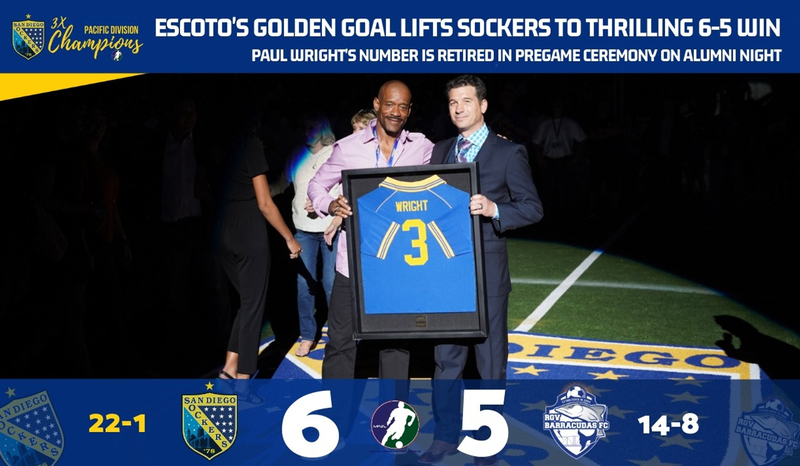 On a night when the Sockers retired the #3 of legendary midfielder Paul Wright and had dozens of top alumni in attendance, San Diego (22-1) spent much of the night frustrated by the defense of RGV. A pair of second-quarter free kick goals put the Barracudas (14-8) ahead 2-0 at halftime. Moises Gonzalez’s second goal of the night at 6:42 of the third quarter gave RGV a 3-0 lead, which they carried into the fourth quarter. The Sockers’ first goal of the evening came one second into their first power play of the night after Emmanuel Aguirre was sent to the box on a boarding foul. A quick corner pass from Escoto to Leonardo de Oliveira in the center of the penalty area was one-touched to Christian Gutierrez by the left post, who knocked home his 13th goal of the season to make the score 3-1 at 1:16. Just over two minutes later, it was Christian Segura spotting an open Chiles on the left wing, who calmly finished his first of the night and 30th goal of the year to make the score 3-2 at 3:34. Just nine seconds later, RGV answered on a goal that would make the highlights outdoors or in the arena. Player/head coach Genoni Martinez (three assists) sent a perfect half-field arcing pass to the head of Moises Gonzalez on the right angle, whose snap header found left netting for a hat trick goal and a 4-3 RGV lead 3:43 into the fourth quarter. Back came the Sockers, using defensive hustle. Brian Farber raced to intercept a casual pass forward by RGV keeper Diego Angel Arriaga on the left wall. In one swooping touch, Farber pounced on the pass and one-timed it inside the far post for a sudden strike. At 5:11, the score was 4-3 RGV. Less than twenty seconds later, RGV midfielder Diego Zuniga pulled down San Diego's Taylor Bond in the penalty area, and the Sockers were awarded a penalty kick. Chiles’ booming blast to left side netting barely eluded Arriaga, who guessed right on the shot and dove just a split second late, helpless to see Chiles’ strike ripple the net to level the score at 4-4 with 5:11 elapsed. The Barracudas would take advantage of an overzealous steal attempt at midfield to regain the lead, as Erick Jhon Ponce’s rebound goal of Luis Saul Ramirez’s header-pass off the wall pushed RGV ahead 5-4 at 8:48. With a raucous crowd of 5,664 pushing them on, the Sockers would use their man advantage to force extra time. 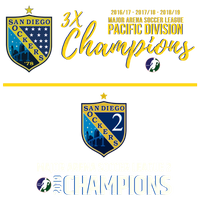 Back-to-back penalties on the Barracudas, for contact to the head and for a tackle of Sockers keeper Boris Pardo, gave San Diego a 5-on-3 man advantage for 38 seconds. It would take only eight of those seconds for the Sockers to convert, as Escoto cut a pass through the penalty area to Chiles on the left wing, who skipped home his hat trick goal, reestablishing a tie at 5-5 with just 2:25 remaining on the scoreboard. Overtime lasted less than a minute before Escoto would be found racing around the field with his jersey off, celebrating his 29th goal of the year and San Diego’s 20th straight win. The Sockers won despite missing five key contributors on the floor, as Landon Donovan (hamstring), Hiram “Pollo” Ruiz (hamstring/ankle), Luis “Peewee” Ortega (hamstring) and Guerrero Pino (precautionary) missed action, along with Felipe Gonzalez, who is out for the season with an ACL tear. The MASL 2018-19 regular season schedule will conclude on Saturday with the Sockers hosting the Monterrey Flash on Fan Appreciation Night. All fans in attendance will receive a Paul Wright #3 retro jersey T-shirt prior to the 7:05 p.m. kickoff.